It’s a common topic thrown out in the news, media, and conversations with colleagues: the burdensome nature of student loans. With national student loan debt totaling $1.52 trillion, it makes perfect sense why students struggle with their finances when they move on from college and are introduced to the “real world.” Bright Credit offers our best tips to help students keep their finances on track for college to avoid the burdensome nature of debt once they receive their diploma. The sooner you start developing effective money management skills, the quicker you can begin using them. The goal of developing these types of skills during college is to prepare you for the future. A few things you can do to manage your spending are preparing your own meals, carpooling with friends, buying used books online, and selling your gently-used items or clothes from last season. When you pay attention to the money entering and leaving your account, you are more aware of what you can afford each month. Some loan servicers offer incentives if you make payments on your student loans while still in school. As students are usually not required or obligated to make payments on their loans if they meet the loan servicer’s requirements, contributing to your loans while in school can offer benefits. For instance, some borrowers can expect a slight decrease in their interest rate for enrolling in autopay. Note: benefits and incentives will vary based on loan servicer. Do some research to see if there are steps you can take while you are in school to reduce the amount you owe. 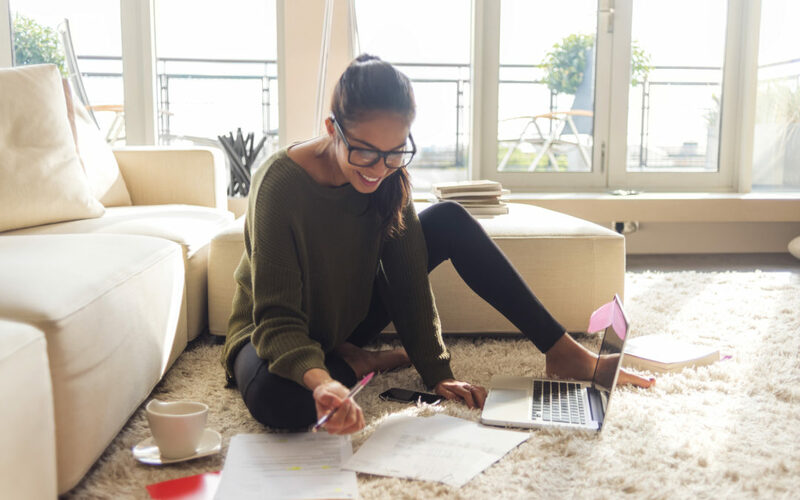 It can be easy to overlook the details when you are juggling school and other financial responsibilities, but it is crucial to pay attention to them if you want to save money. Some students receive reimbursement checks if they have leftovers from their loan. If you can afford to put these checks back into your student loans, then this can immediately reduce the amount you owe. It can decrease your principal and can help your loans avoid collecting even more interest. If you can commit to paying a small amount toward your loans monthly, then this can also lessen the amount you owe and keep interest costs low. Take a look at your interest rates. Regardless of how low they may seem compared to credit cards, once interest starts collecting, it can be tough to make the monthly payments affordable. Even if you are not required to make payments while in school, it can help you control the amount you have borrowed and set your financial future up for success. Map out your expenses by recording your income and recurring expenses. Do you notice a pattern in your finances that you need to budget for? Do you need a part-time job while in school? Asking these questions and developing a plan can help you learn valuable time and money management skills. Rather than mindlessly spending money, become more aware of your finances and smoothly make the transition into adulthood. College can still be fun and memorable on a budget. Developing long-term spending and saving habits will play a role in shaping your financial future and being more conscious about how you spend your money can make the payoff worth it. Bright Credit, LLC has helped students and college graduates resolve their private student loan debts. Contact one of our customer advocates for a free, confidential consultation to learn more about the best option for your financial future.